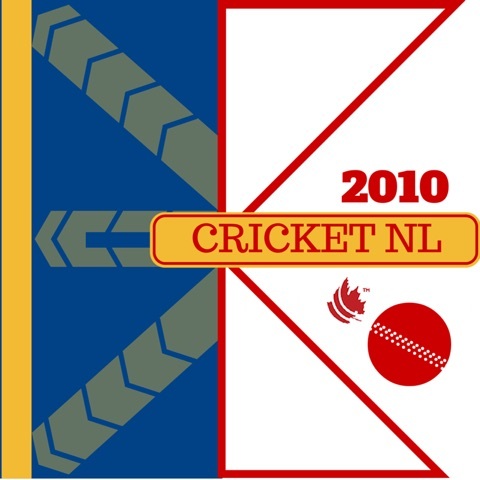 Saturday at 4pm: NL Stormers vs NL Hurricanes – ? 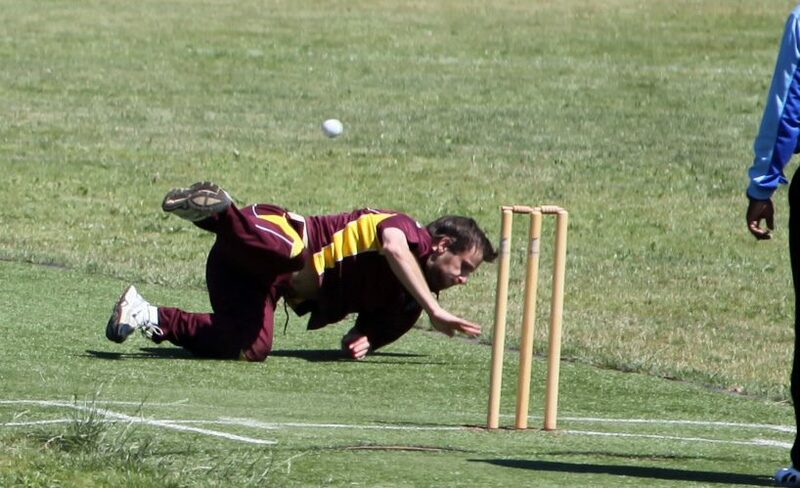 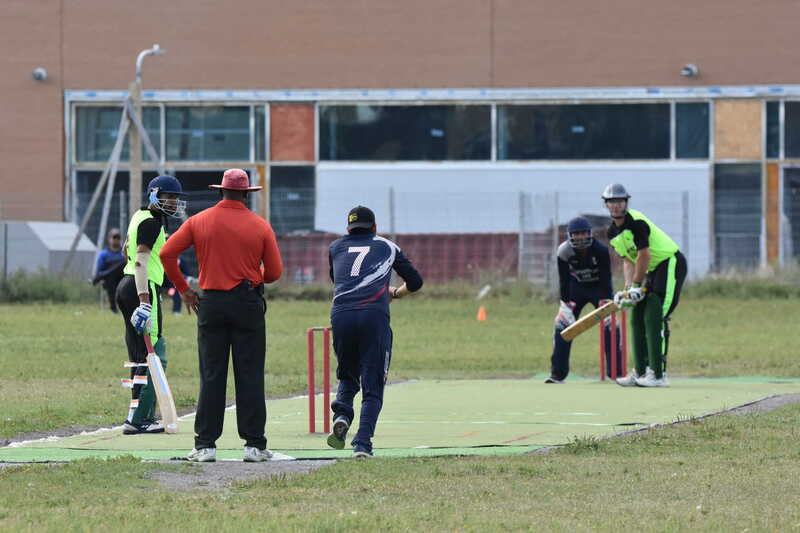 The NL Stormers beat PSA by 15 runs as the Winter League continued on February 13. 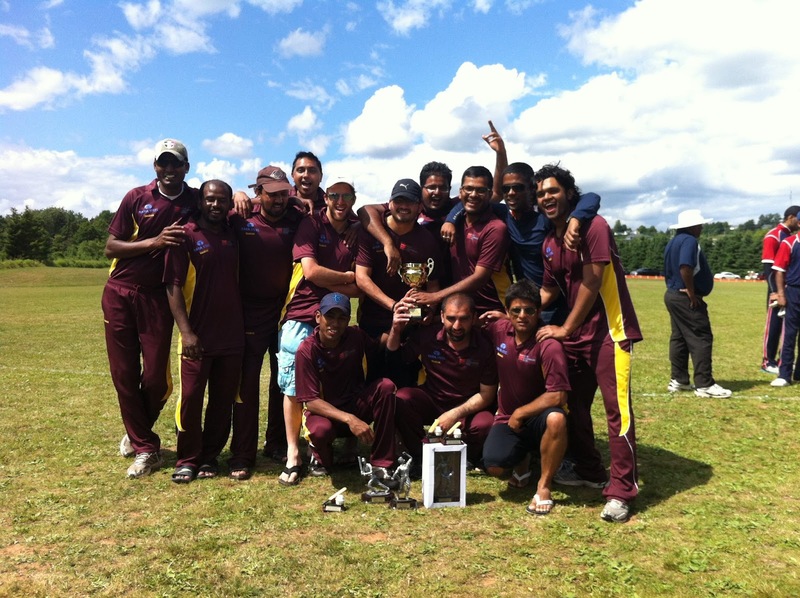 A fantastic effort by the provincial team earned second place at the Atlantic T20. 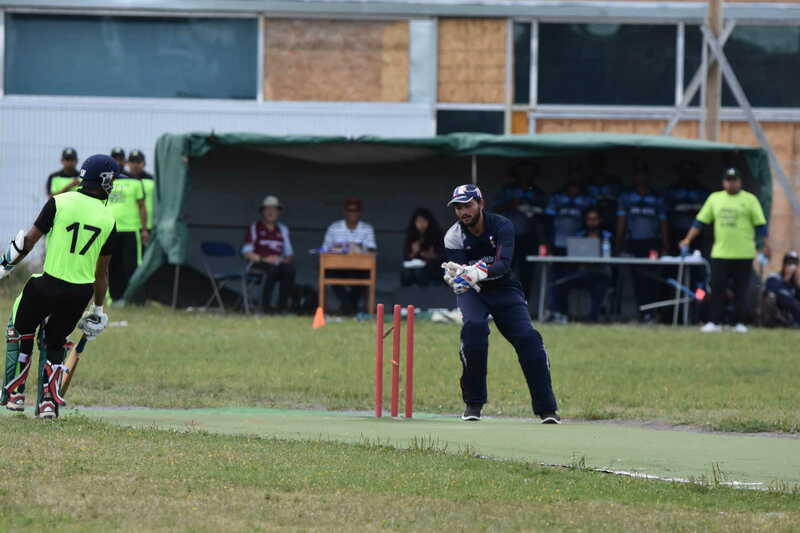 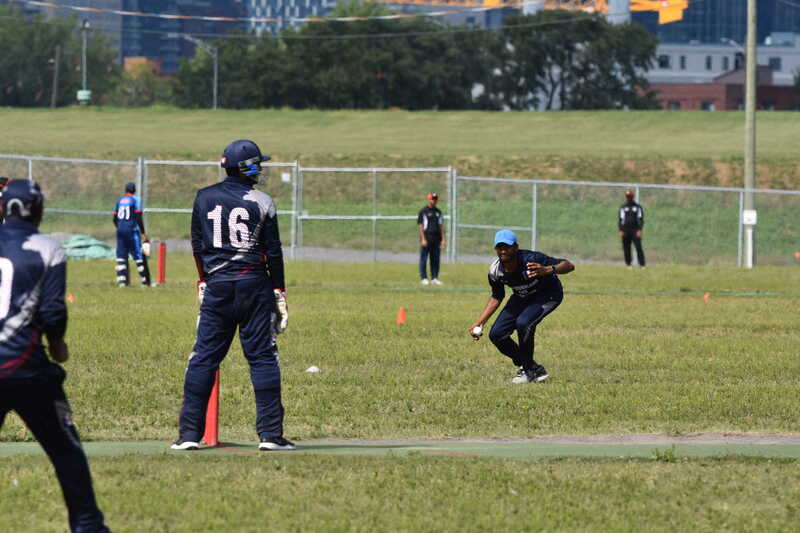 In the crucial game with Nova Scotia, Nova Scotia put up a good total of 169 for seven wickets, which proved just too much for Newfoundland who fell 8 runs short. 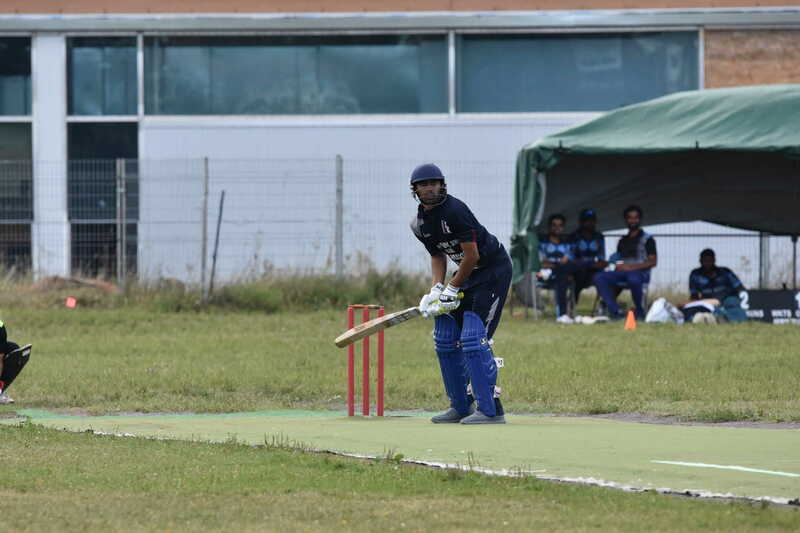 The early bats struggled apart from the consistent Rakesh Negi (31 runs) but a late rally led by Kathir Chenthilnathan – 56 not out took them close. 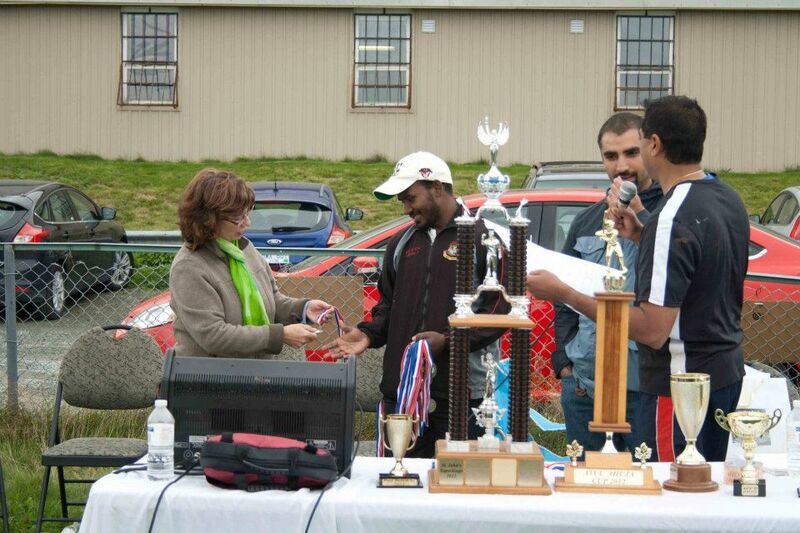 The second place finish is a huge improvement on last year and the team should be proud of a valiant effort. 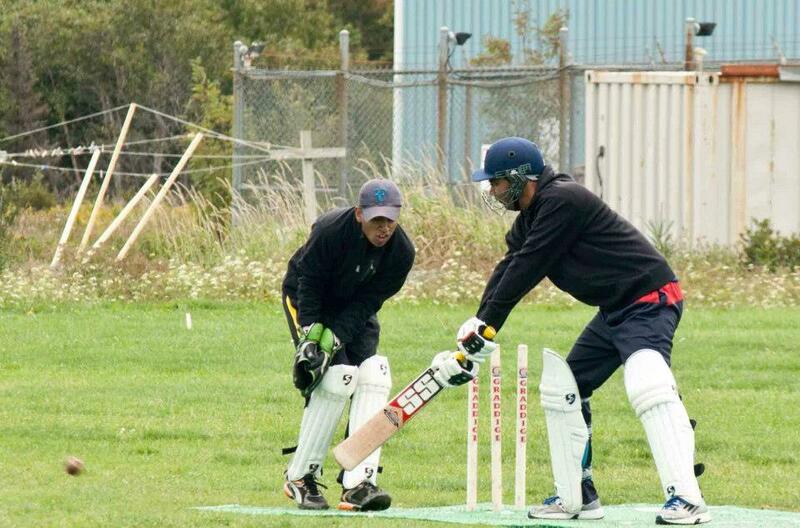 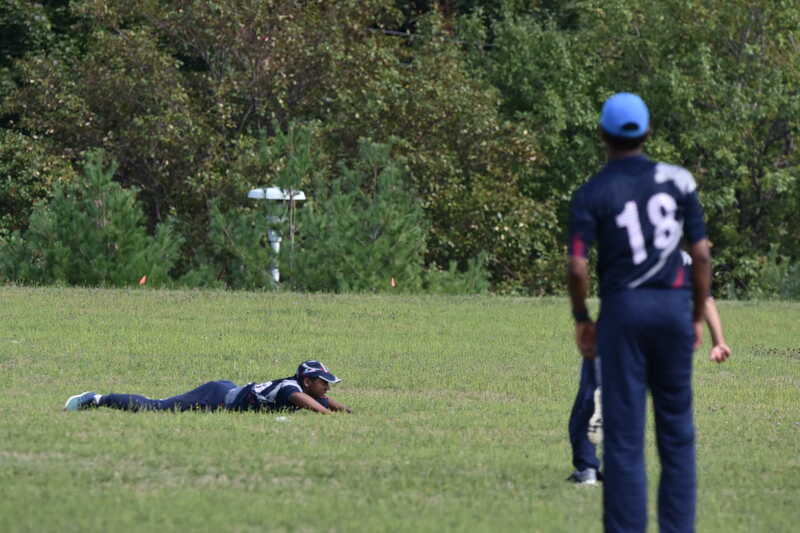 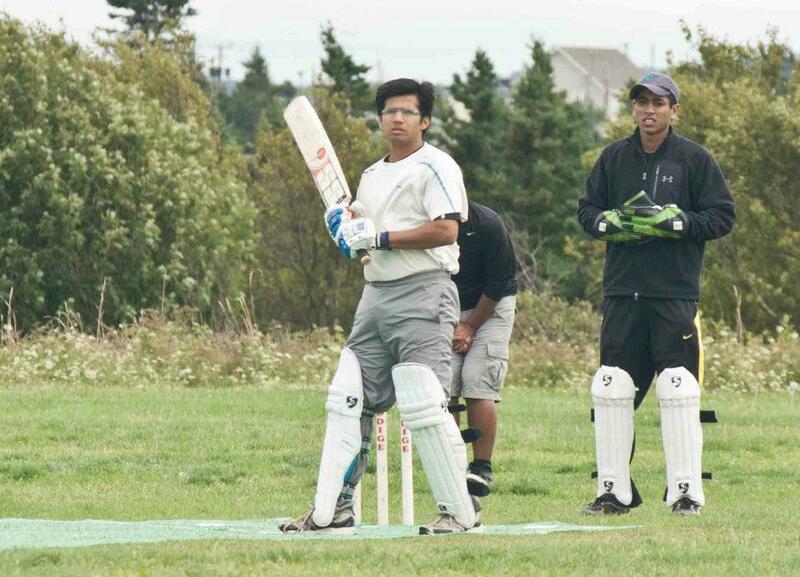 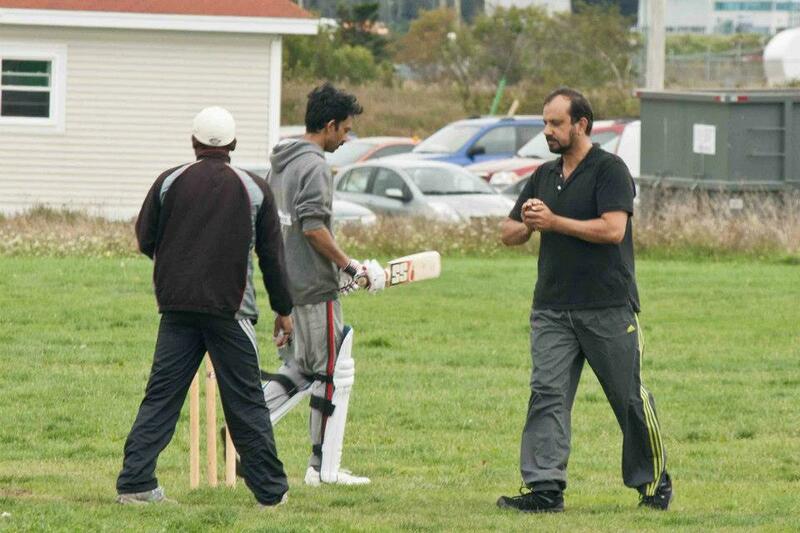 Captain Rakesh Negi’s half century led Newfoundland and and Labrador to a historic win over Quebec at the Atlantic Twenty Twenty tournament in PEI. 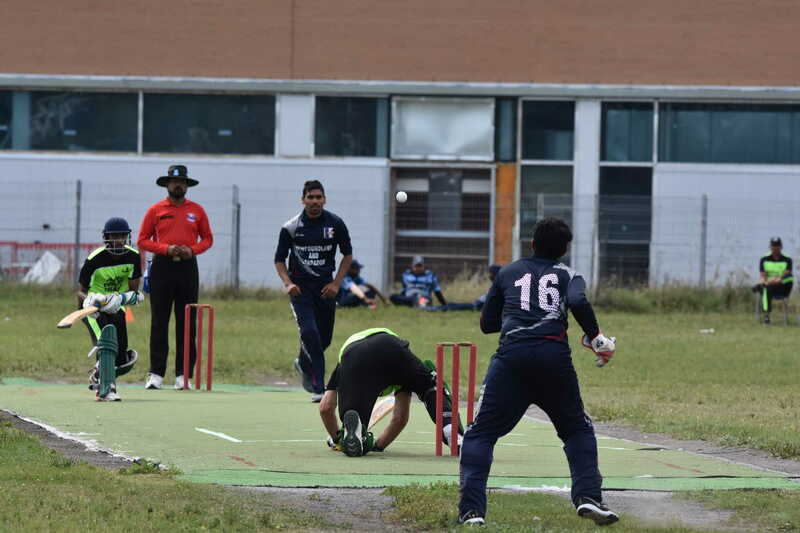 A strong bowling effort had Quebec on the back foot at 60/6 after 11 overs, and then 62/8 after 14. 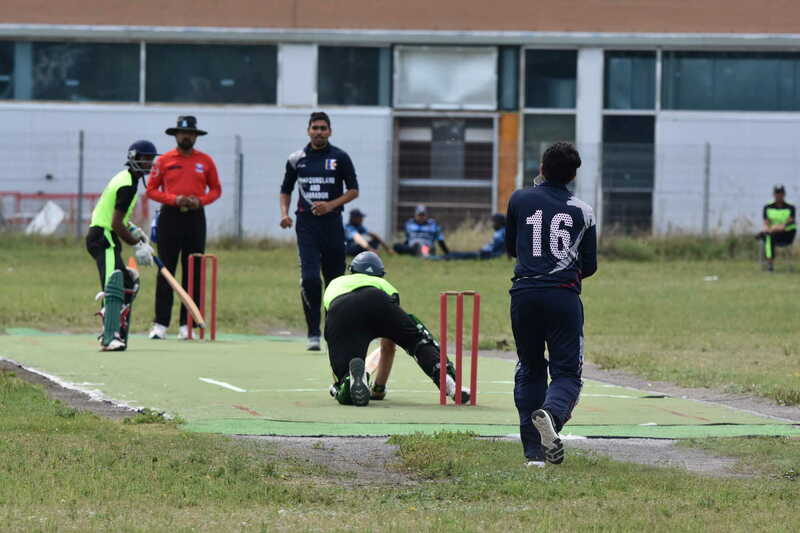 Quebec were 91 all out with Ashwin Gupta taking 4/13: Newfoundland made 92/2 with Rakesh 54*. 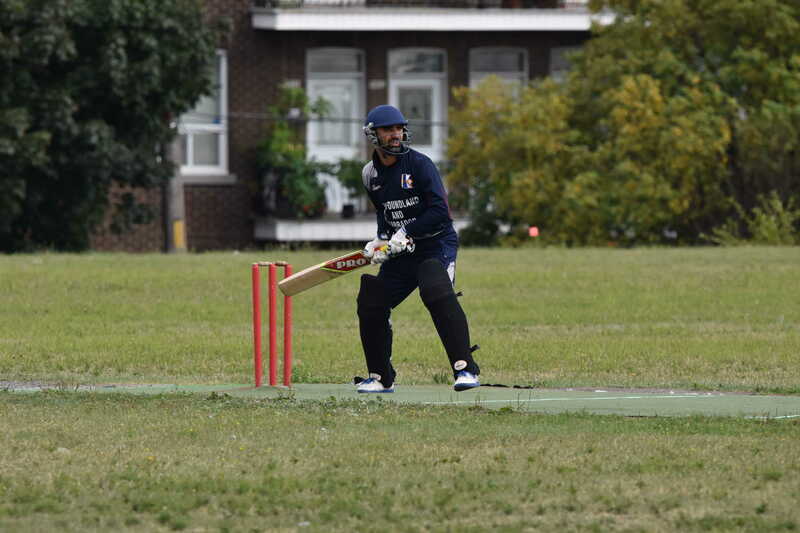 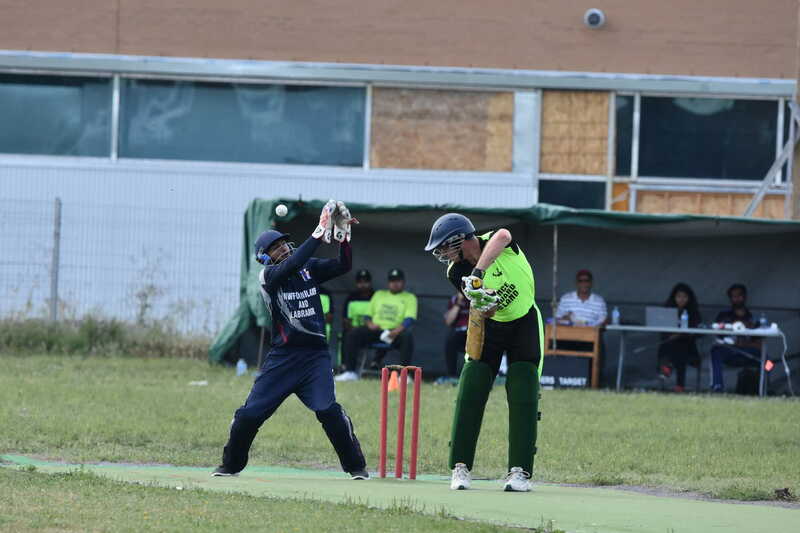 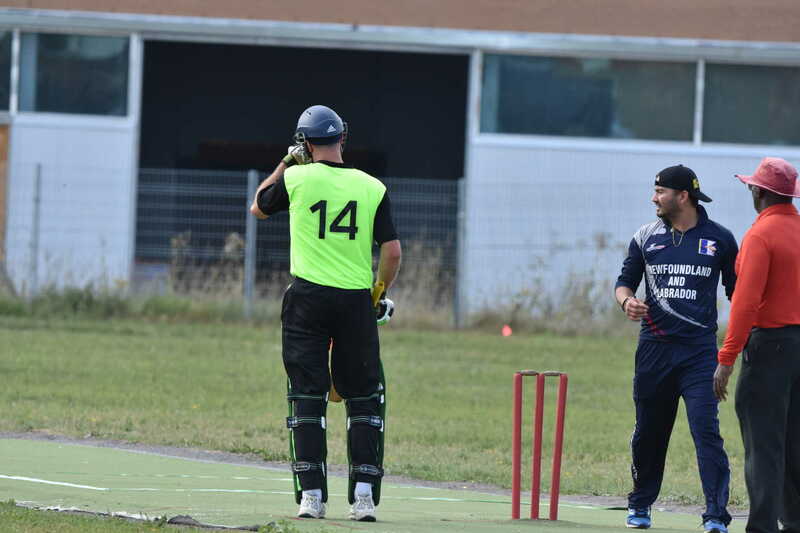 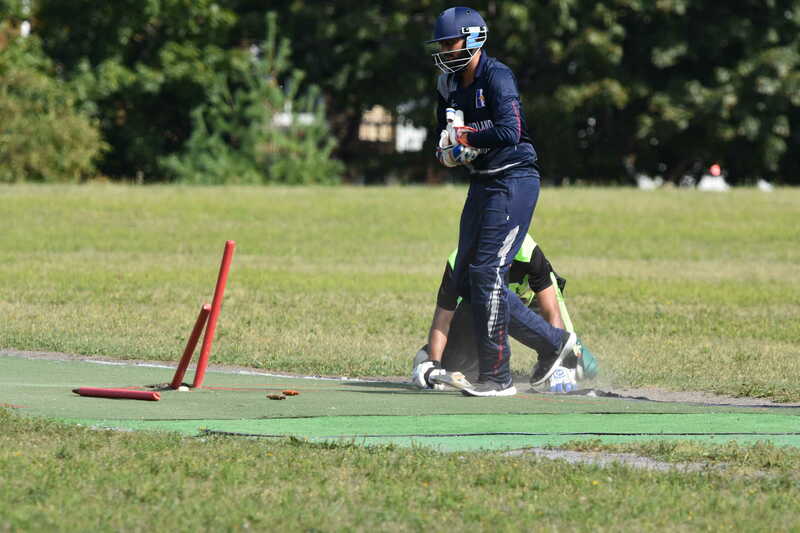 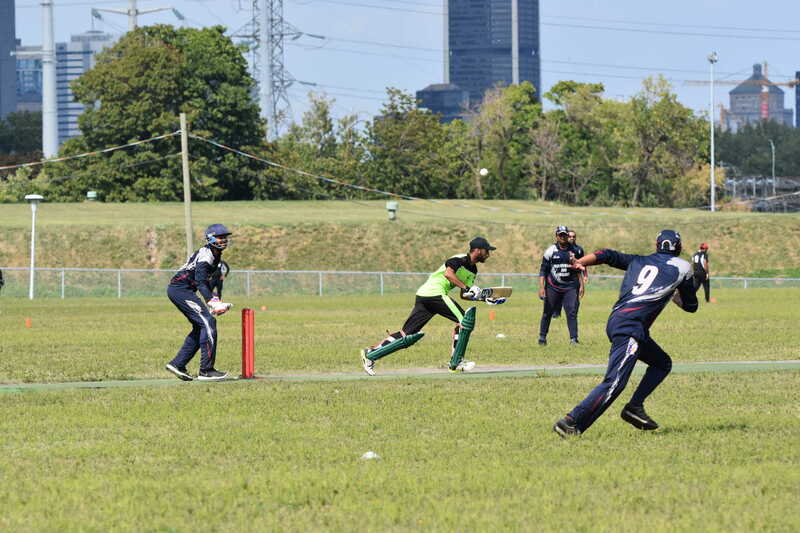 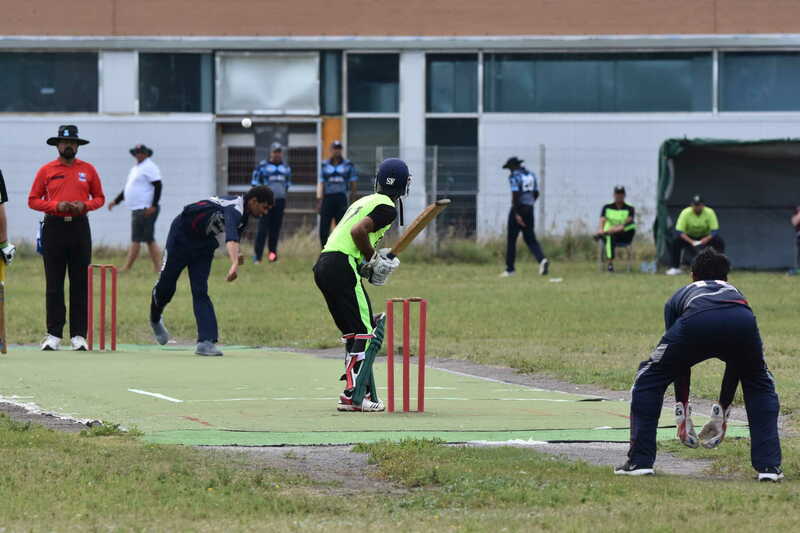 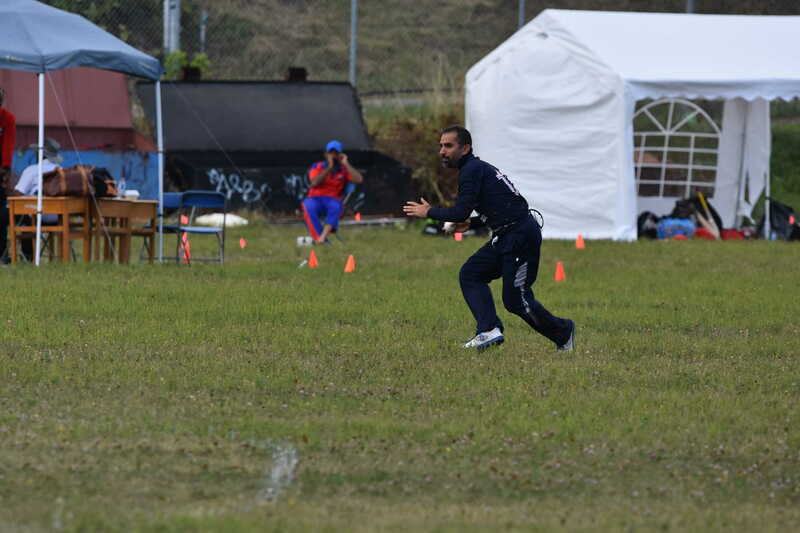 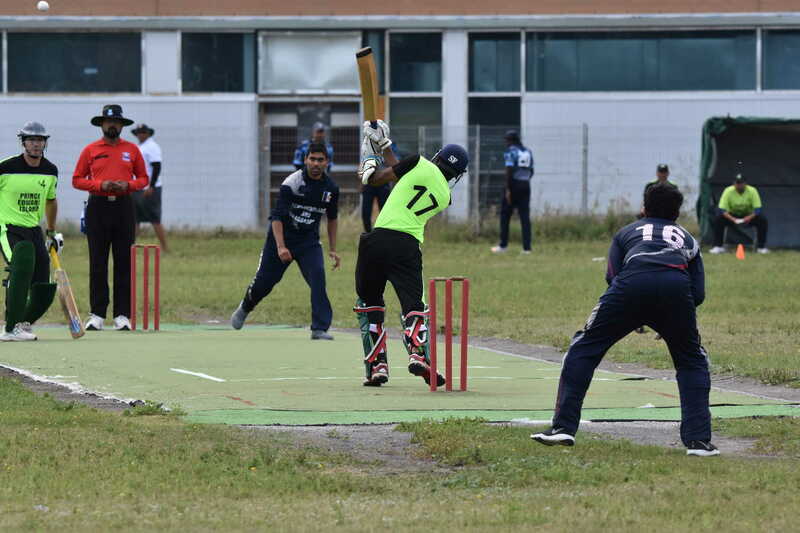 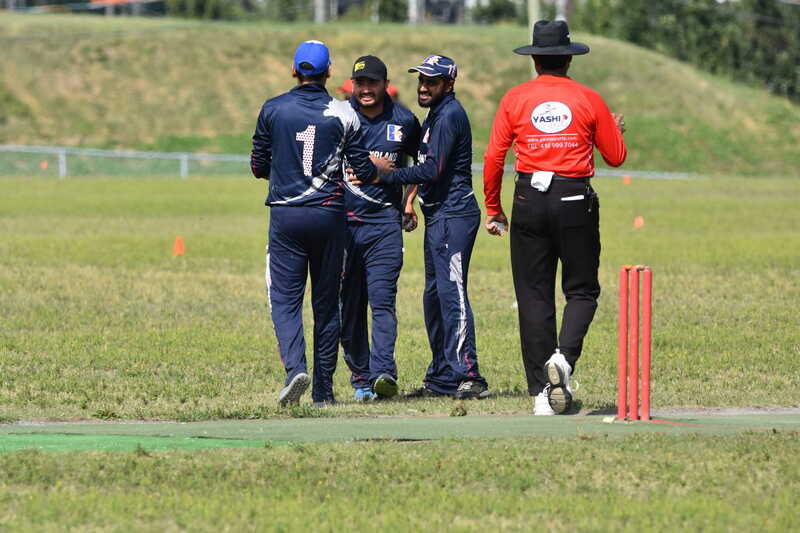 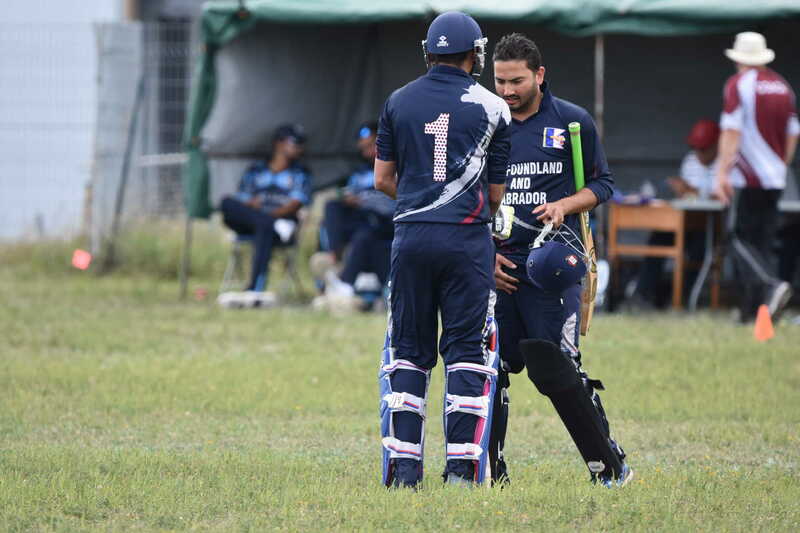 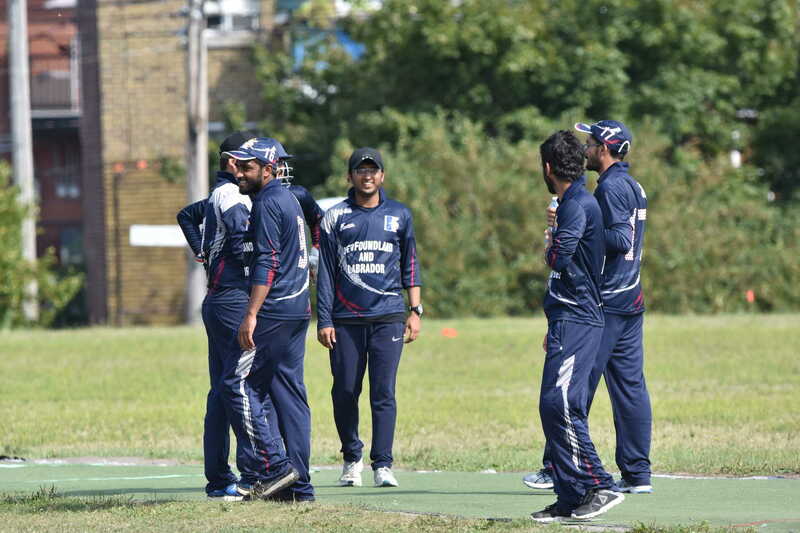 The powerful Quebec squad (including national team players) had beaten the NL squad by a massive 116 runs last year, and were the beaten finalists in the national T20 competition a couple of years ago. 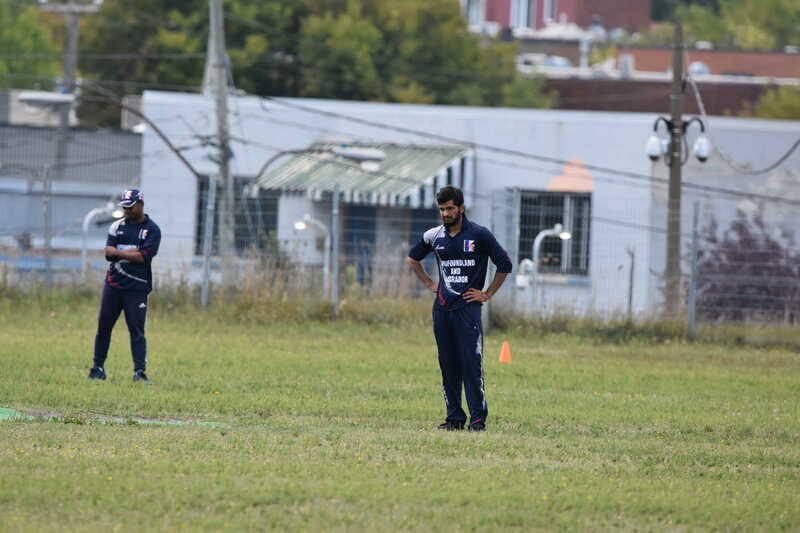 FoW: 1-16, 2-16, 3-24, 4-36, 5-55. 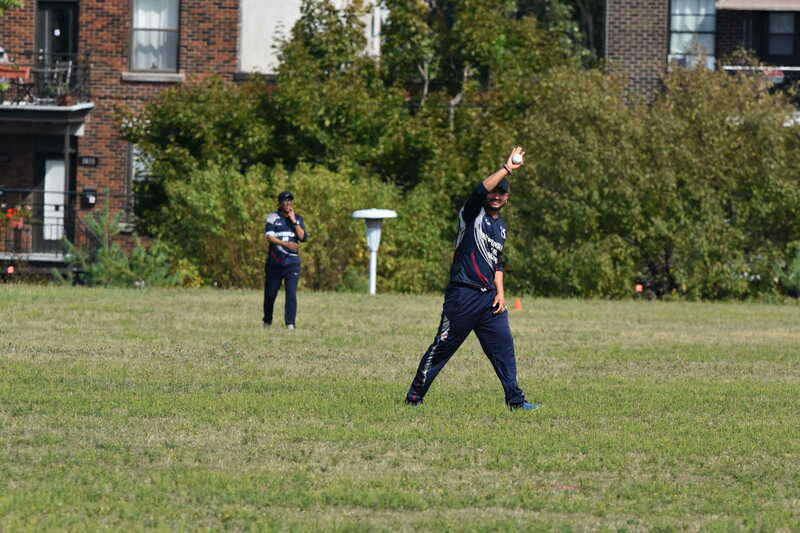 FoW: 1-14, 2-39, 3-93, 4-?, 5-124, 6-126. 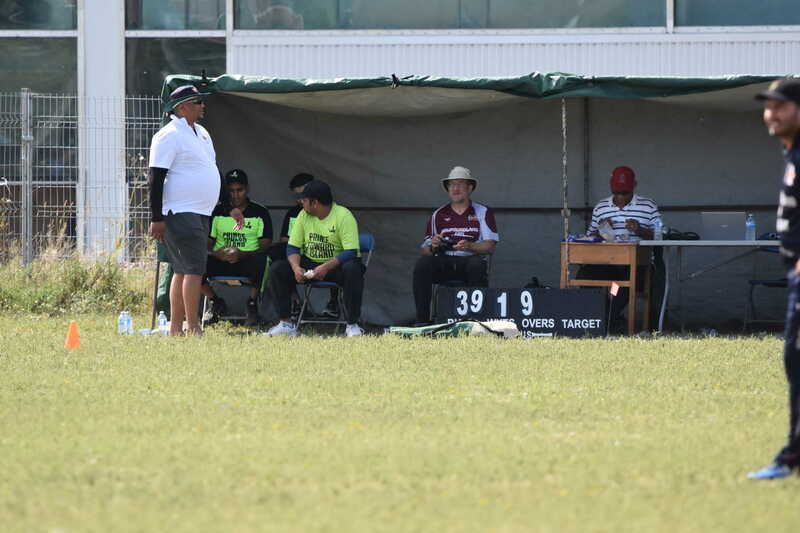 *** bowling figures likely do not include wides, card does not balance. 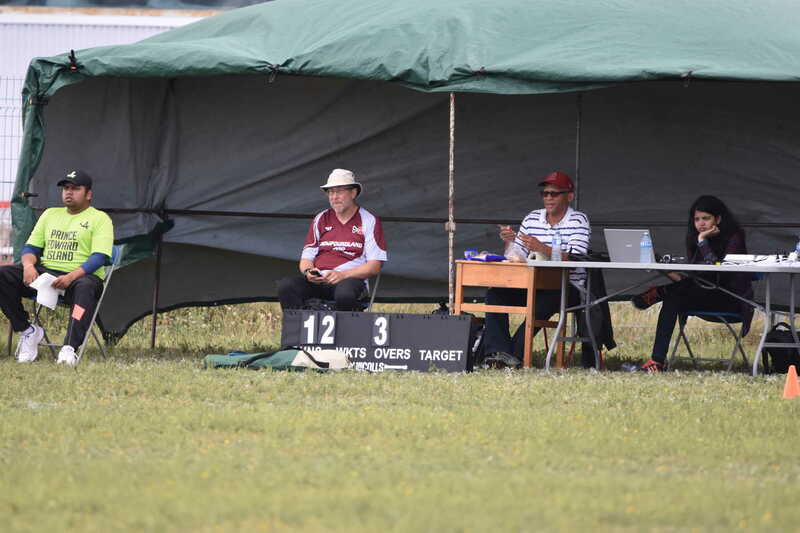 Run scoring provided hard on the weekend with long grass cutting down on boundaries. 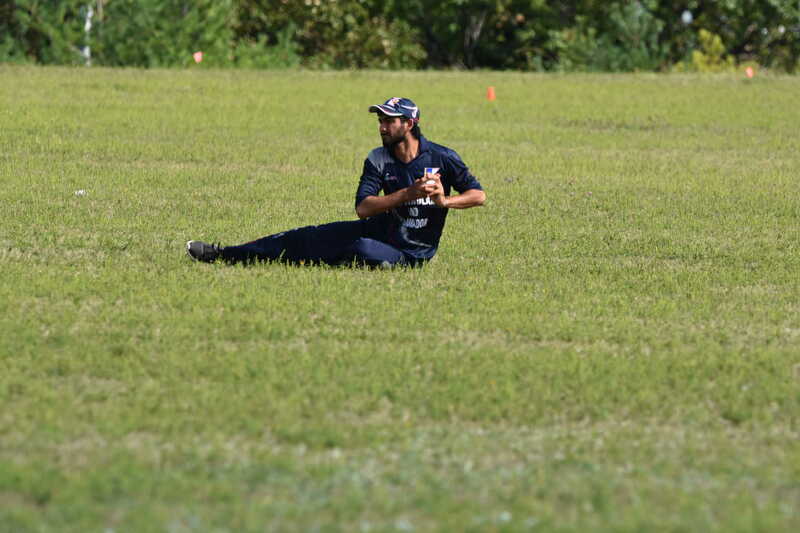 The Thunderboltz had a successful weekend with three wins. 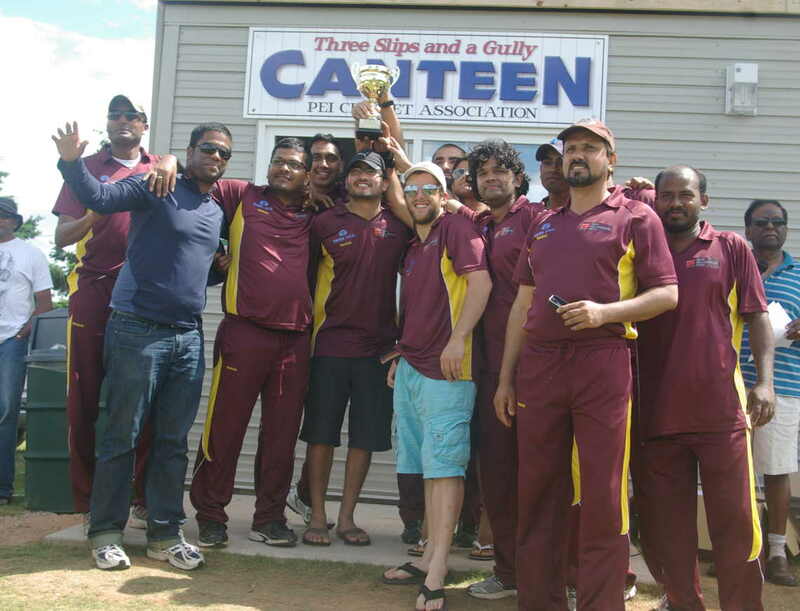 On Saturday the Thunderboltz (119/8) beat the Superkings (63 all out), thanks to MoM Kathir’s 4/14. They also beat the NL Champions, KK making 59* as they posted 115, and the Champions making 92. 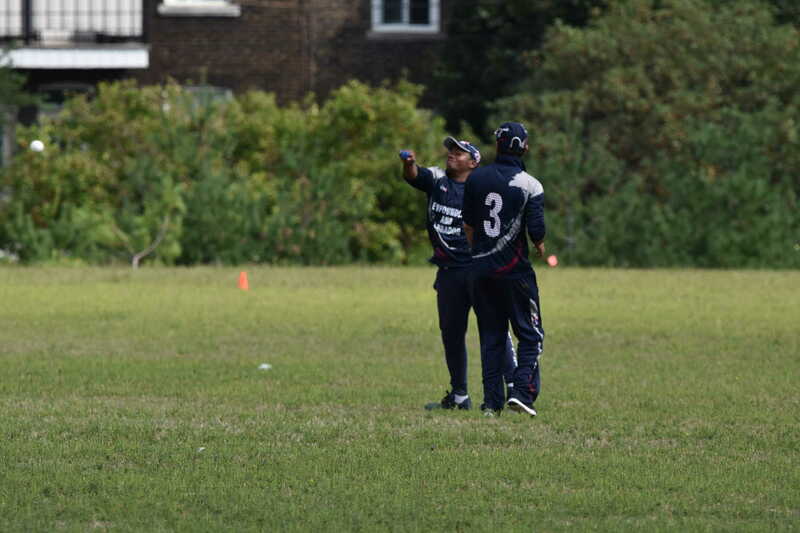 On Sunday in the first game, the Nl Champions (129/4) beat the Superkings (83 all out), with Abbas Haider man of the match for his 35 runs, two catches and two direct hit run outs. 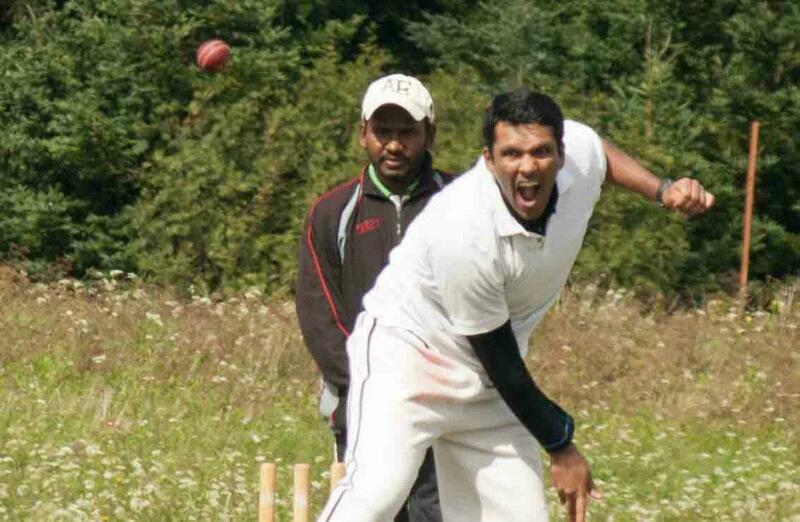 DNB: Nitin, Eldho Paul, Kangai, ? 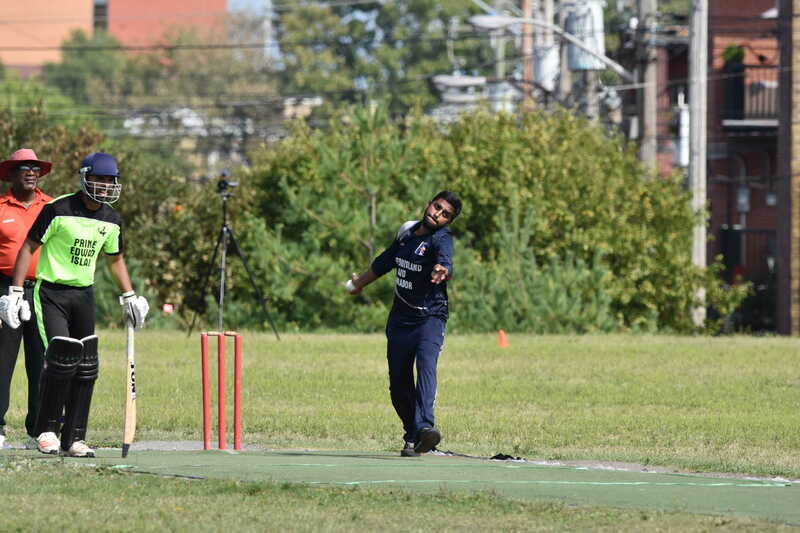 *** Nitin performed the hat-trick in his third over. 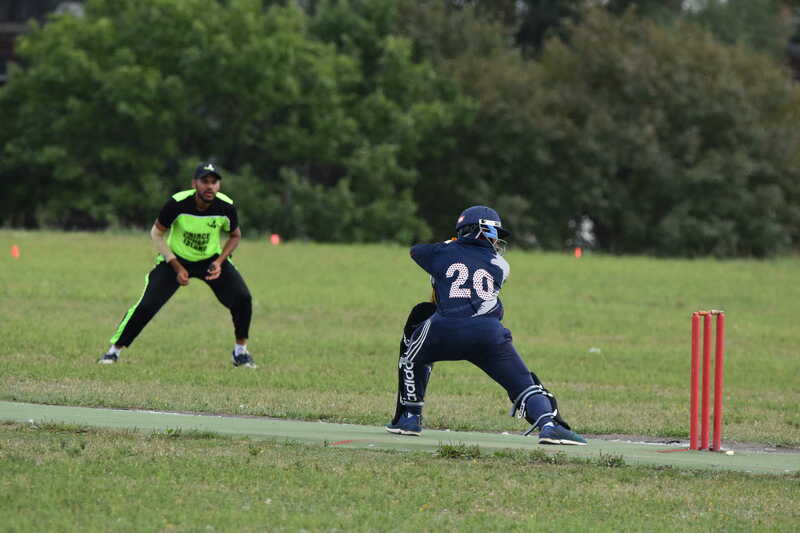 Two wins on the final weekend of play took the Superkings to the top of the league and they will play the Thunderbolz in the final. 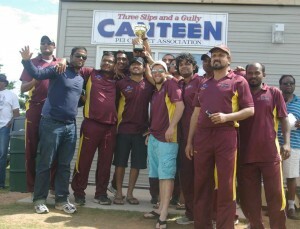 St.John’s Superkings 120/8 Thunderboltz 102. 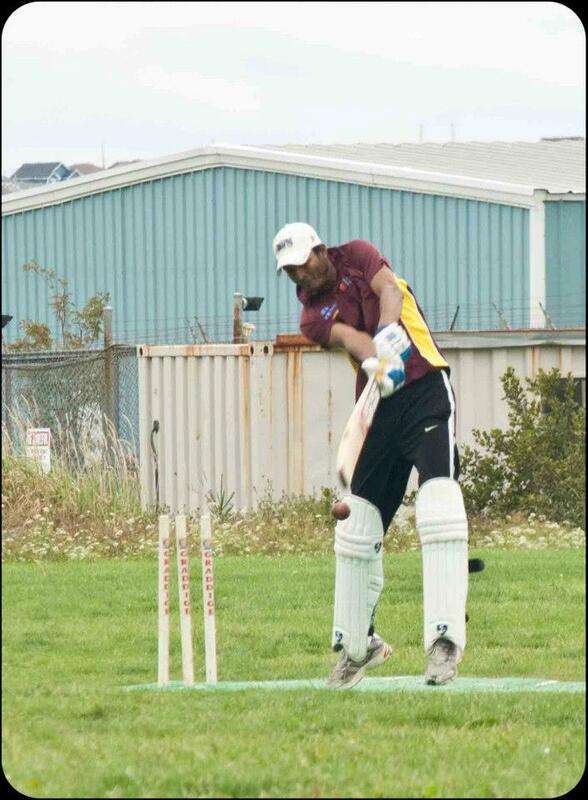 Superkings 137/1 Kavish 50 and Rakesh Negi 55 not out. 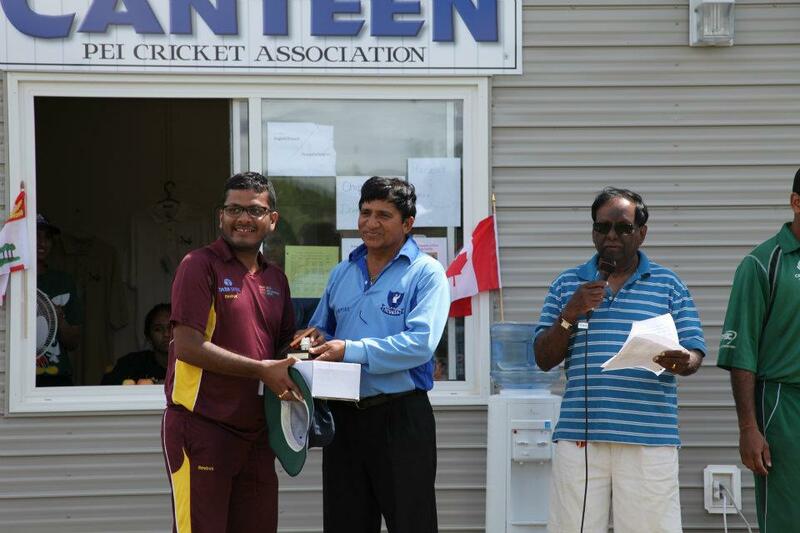 MOM- Rakesh Negi 55* and 3 wickets. 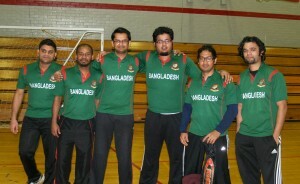 FoW: 1-36, 2-55, 3-55, 4-64. 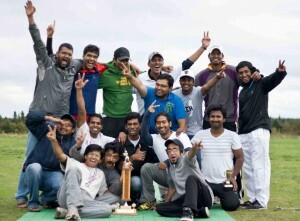 The Thunderbolts won the Atul Ahuja Cup by 5 wickets in an exciting match this Saturday. 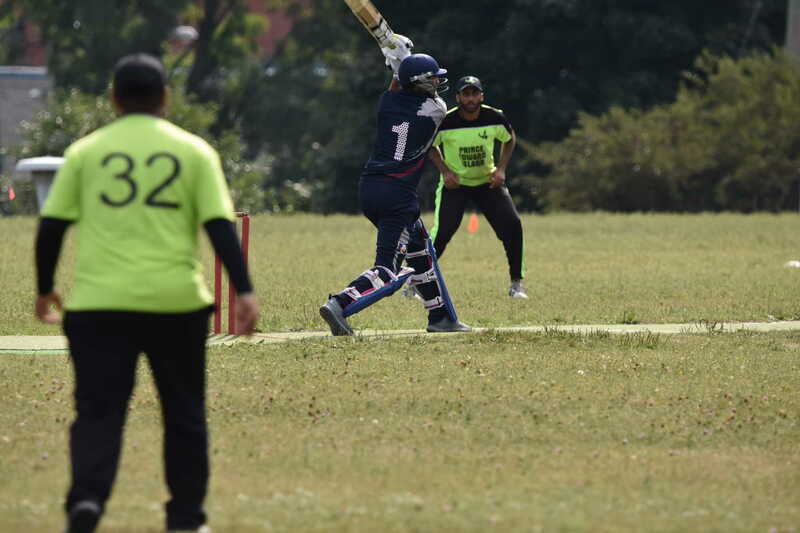 The Superkings were restricted to 95 runs for 9 from their twenty overs, with Pawan and Shameem Islam each taking two wickets. 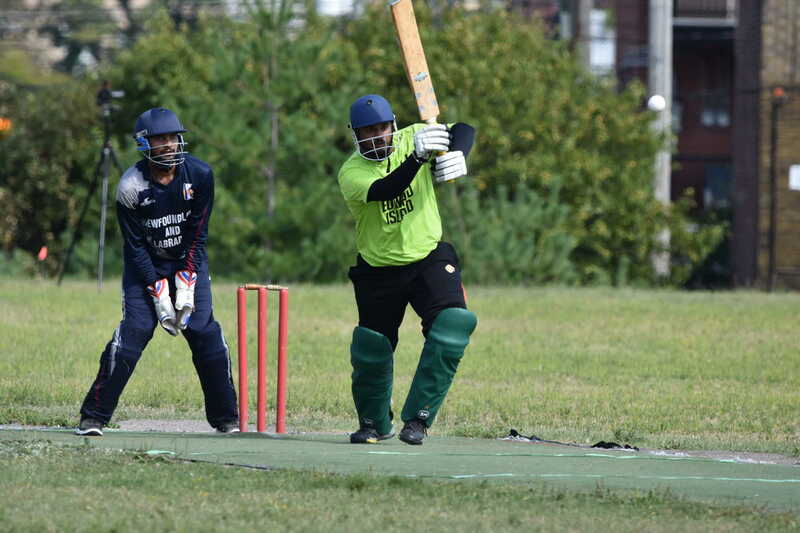 Saad Jahangir top-scored with 22 runs. 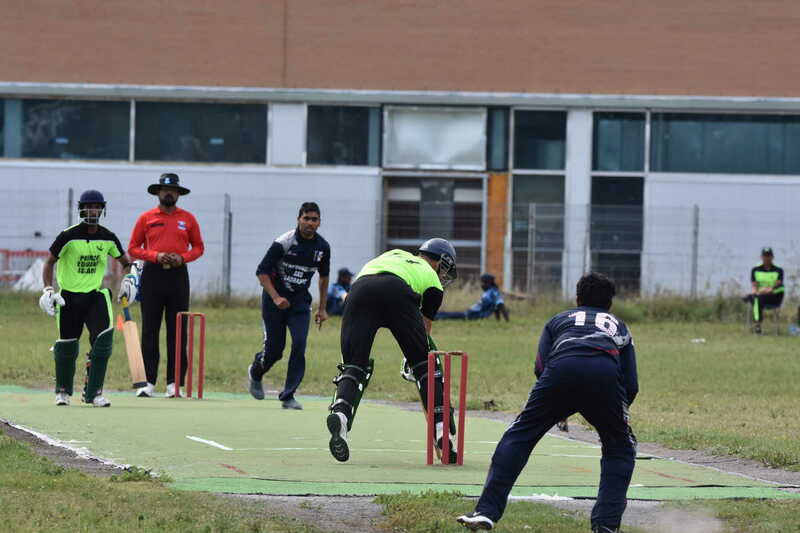 The Thunderbolts lost three quick wickets in reply and looked in trouble before Tapan Trivedi (18 runs) and Pawan (21 runs) took them to victory with 2.3 overs to spare. 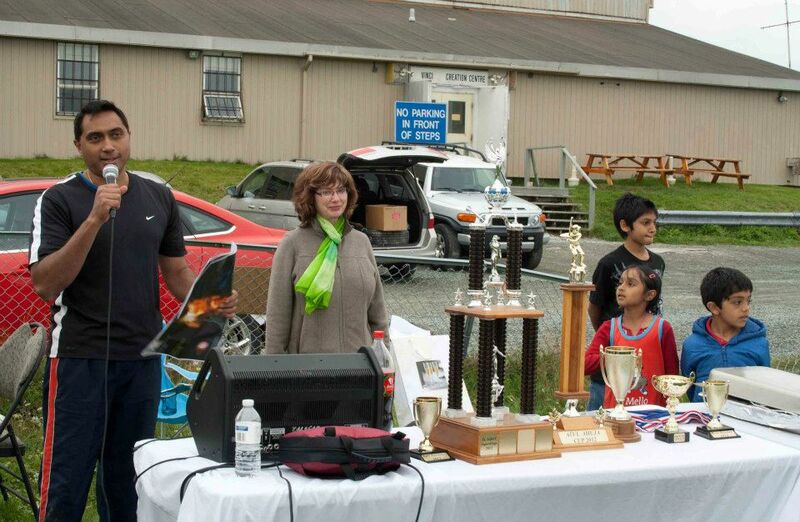 The trophy and awards were presented by Rosie Frey, representing sponsors Tata Steel Minerals Canada/ New Millenium Iron. 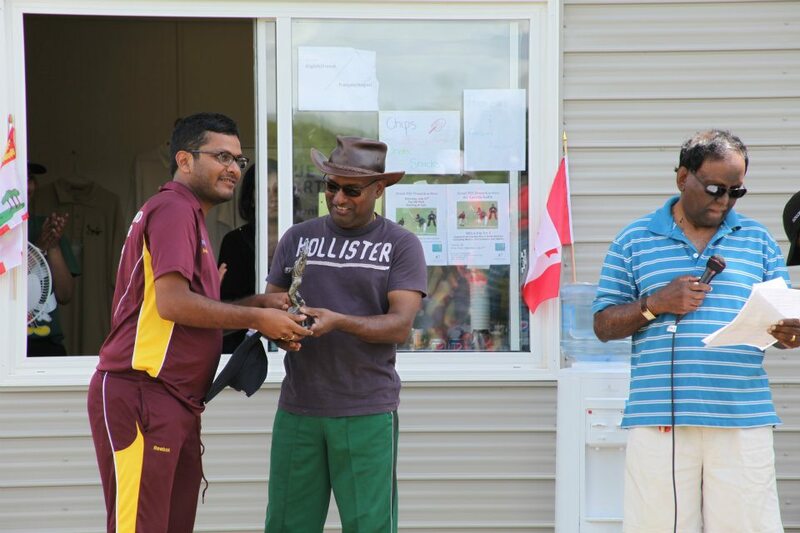 Best Batsmen: Golam Moula (NL Champions): 279 runs including the season’s top score of 107. 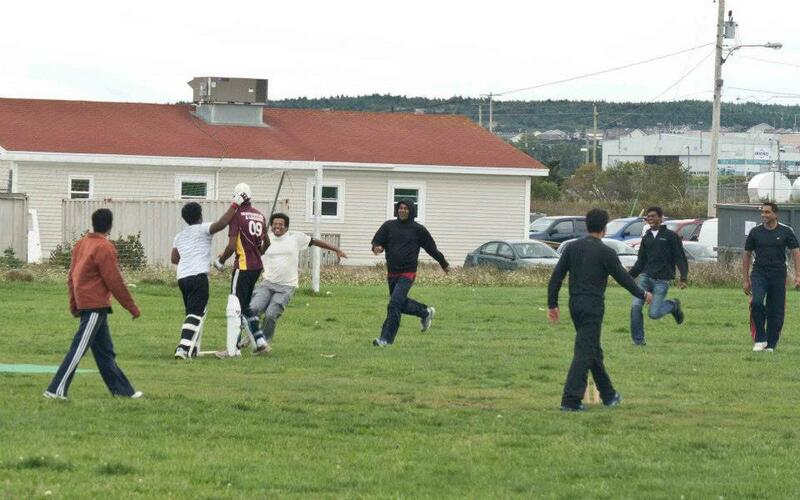 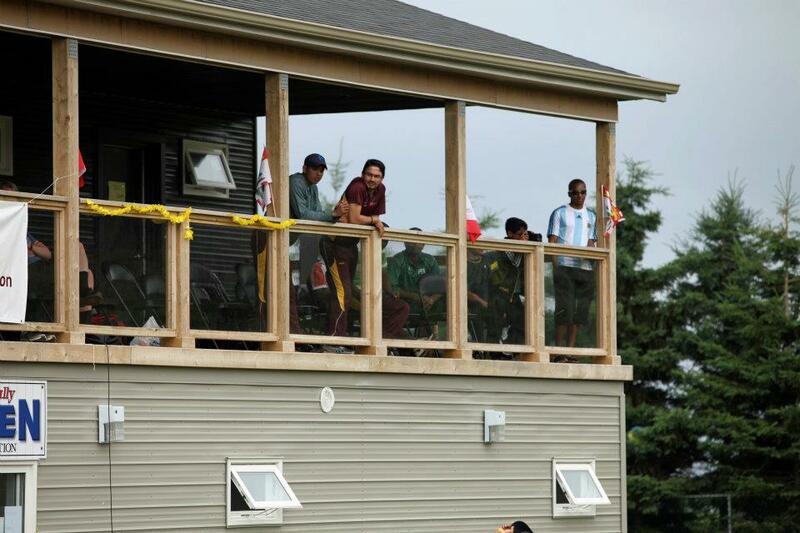 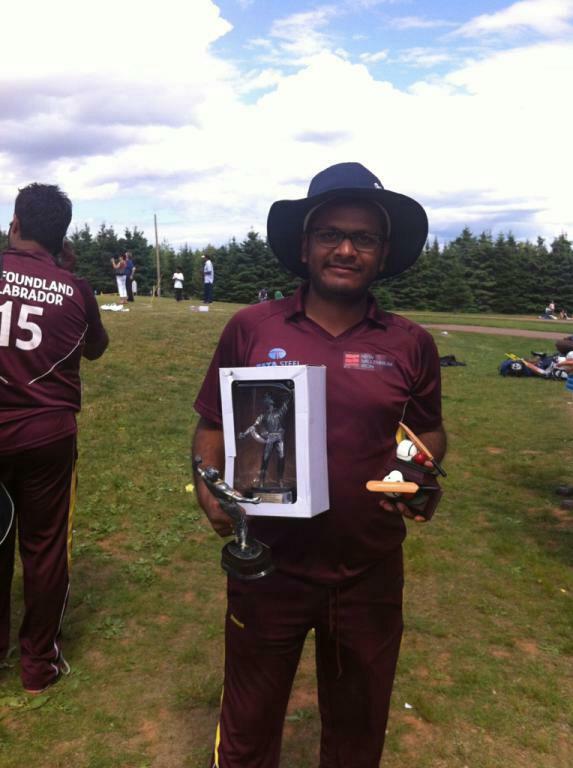 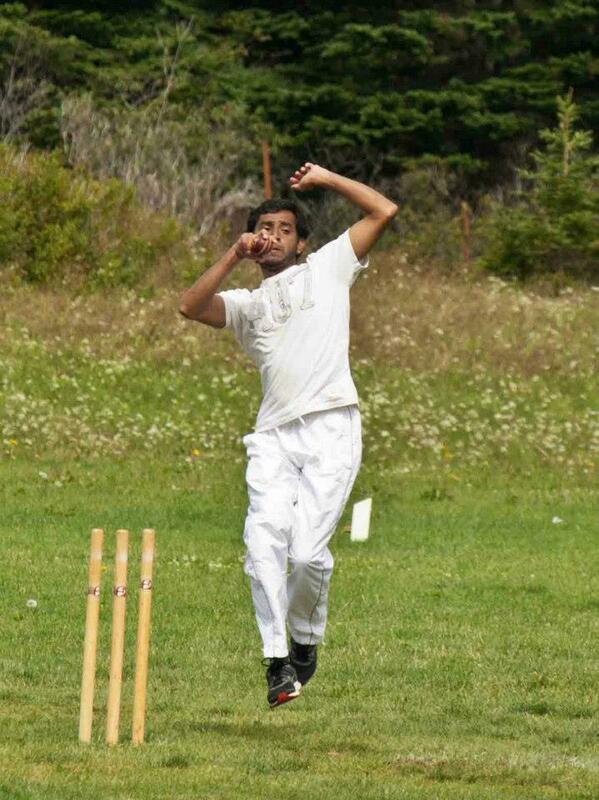 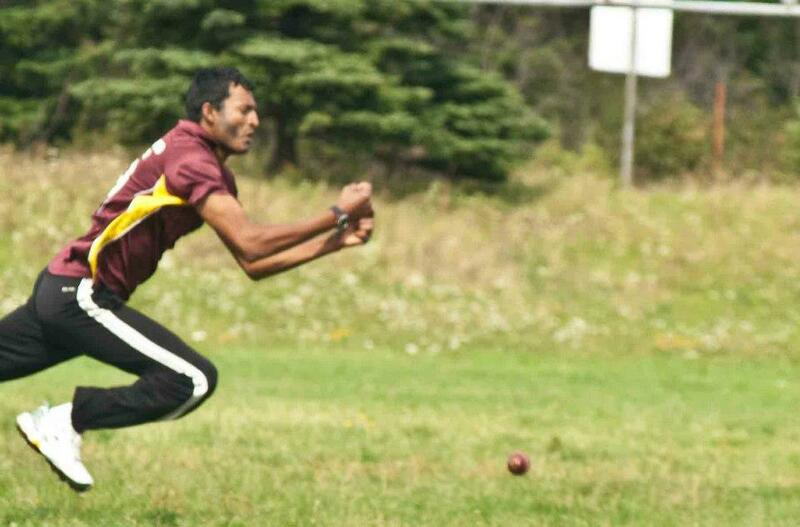 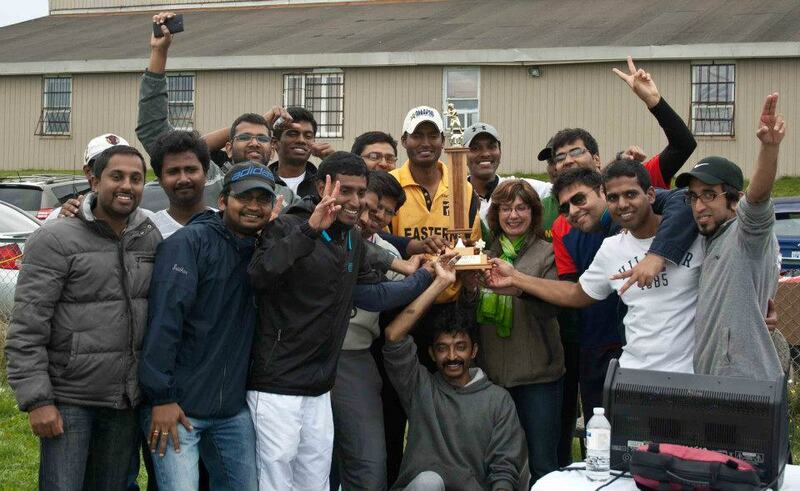 Most valuable player: Rakesh Negi (St. John’s Superkings); 14 wickets and 200 runs in regular season. 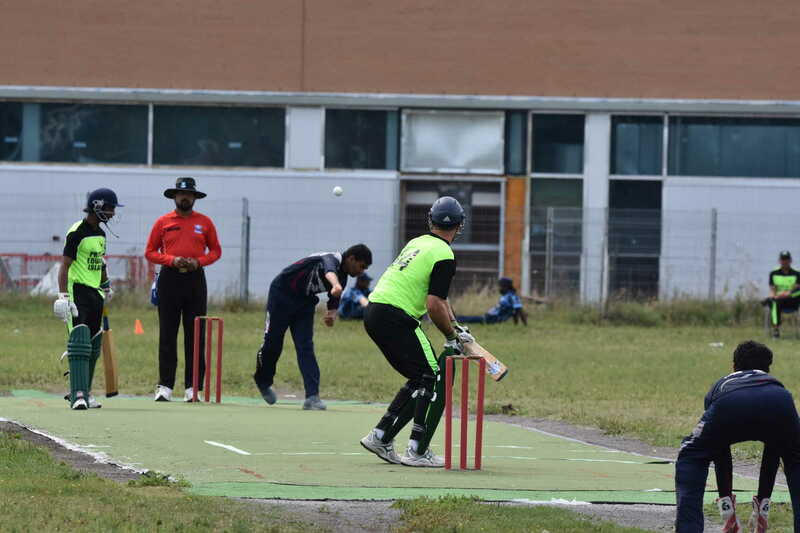 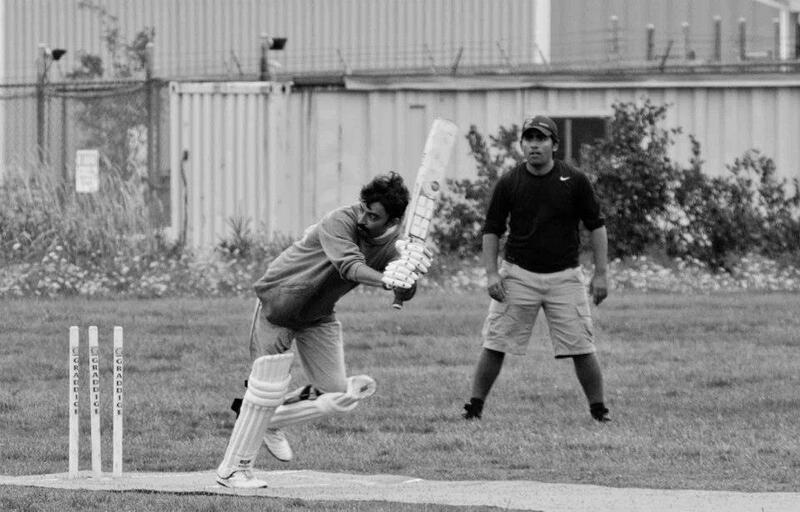 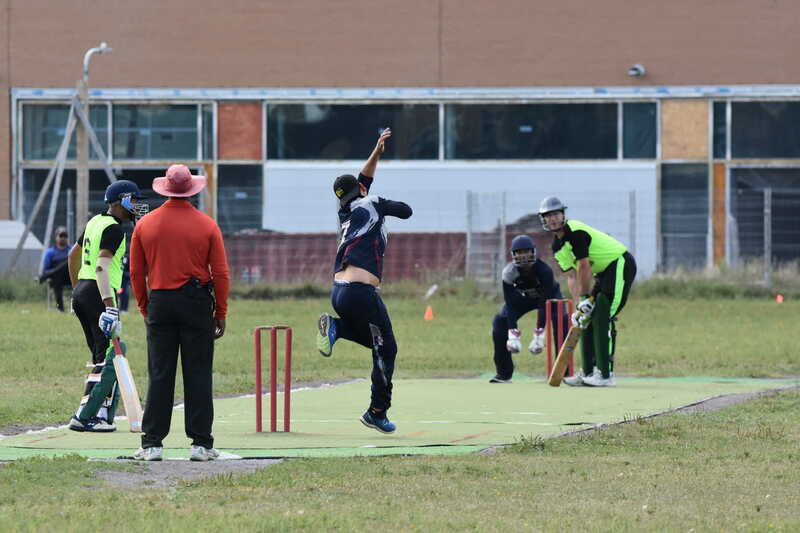 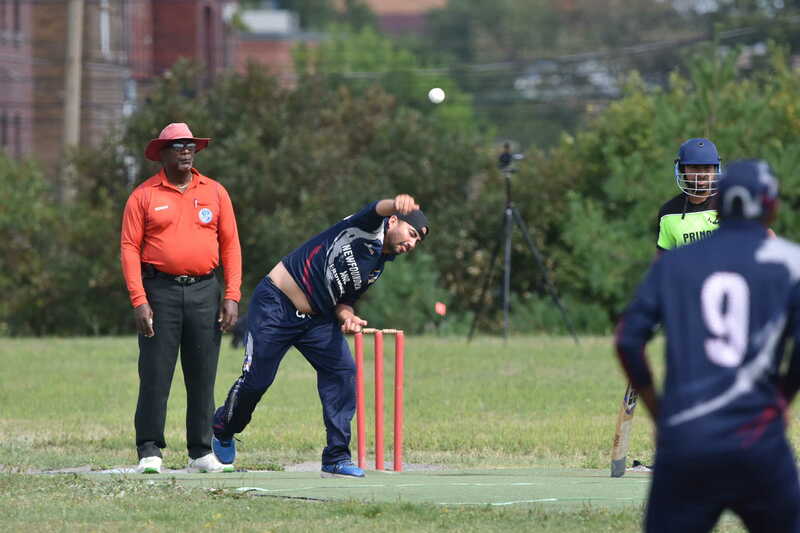 Our first full recreational league game was a great success, featuring some good batting, big hitting, straight bowling, and an age range of 7 to 56. 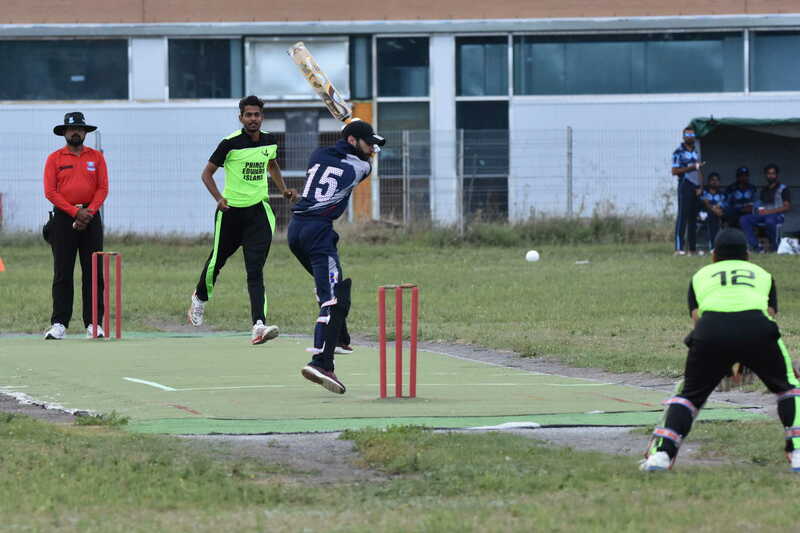 The Terra Novas prevailed by 21 runs, making 123 in their twenty overs, and the Shamrocks being bowled out for 101. 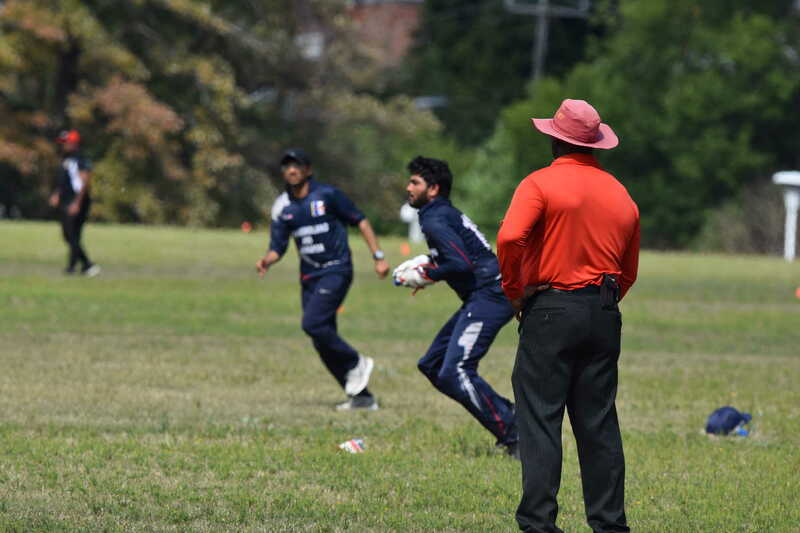 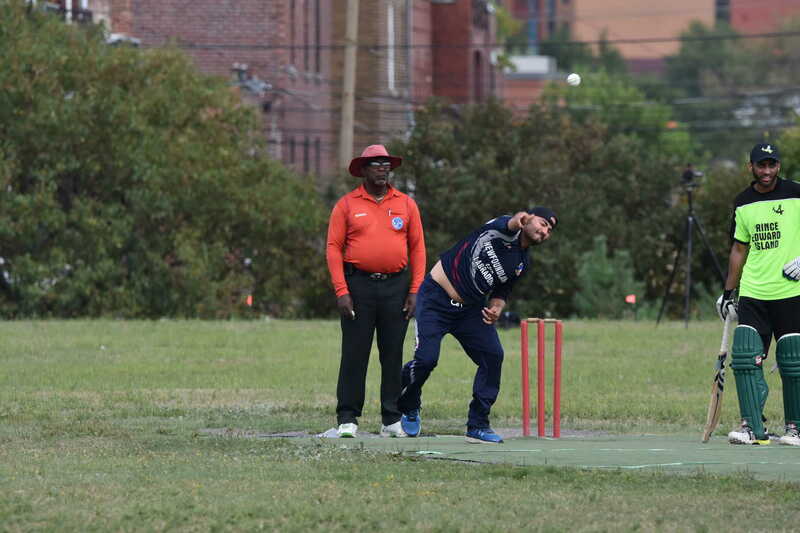 The Shamrocks won the toss and chose to bowl, and Karimulla took advantage of the opportunity to open the innings to make an accomplished 32, with three fours and a six. 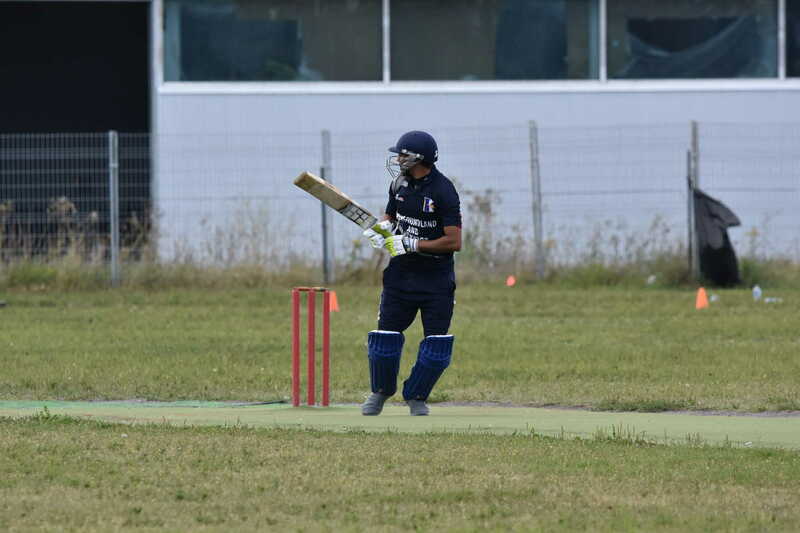 The Terra Novas had been in a bit of trouble with four wickets down, but Karimulla was well supported by Dave Liverman (12), and an excellent innings from Mark Russell (14) – hard to believe Mark had not played prior to this year. 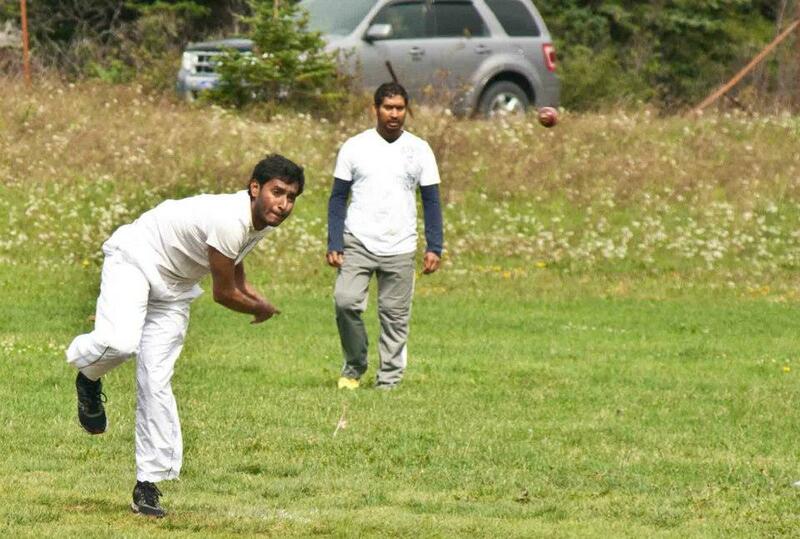 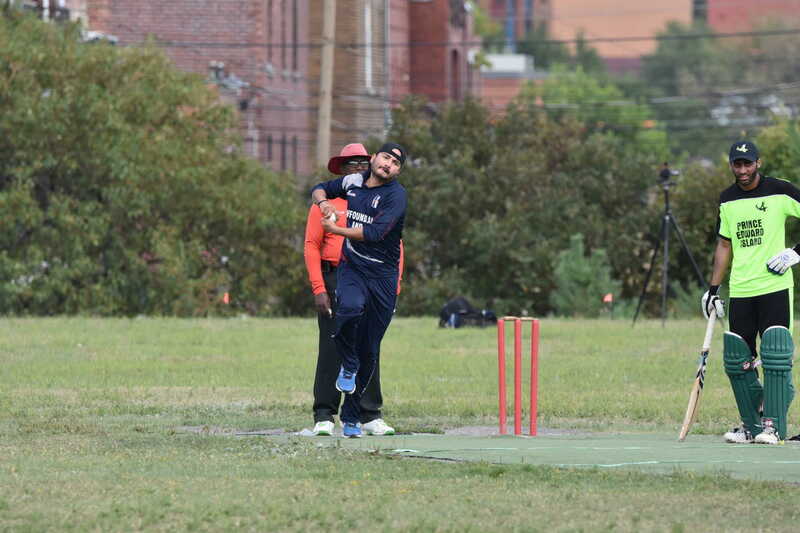 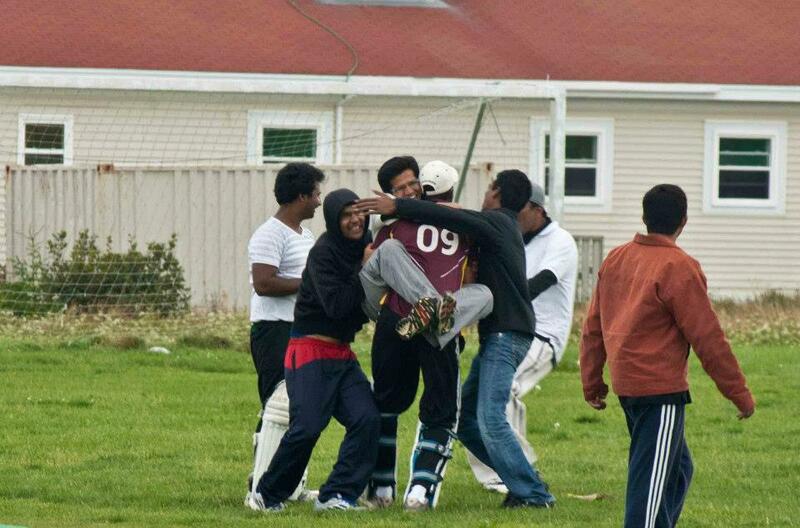 Subhav’s high flighted spin accounted for both Karimulla and Dave, but Suriya and Tapan batted out the overs. 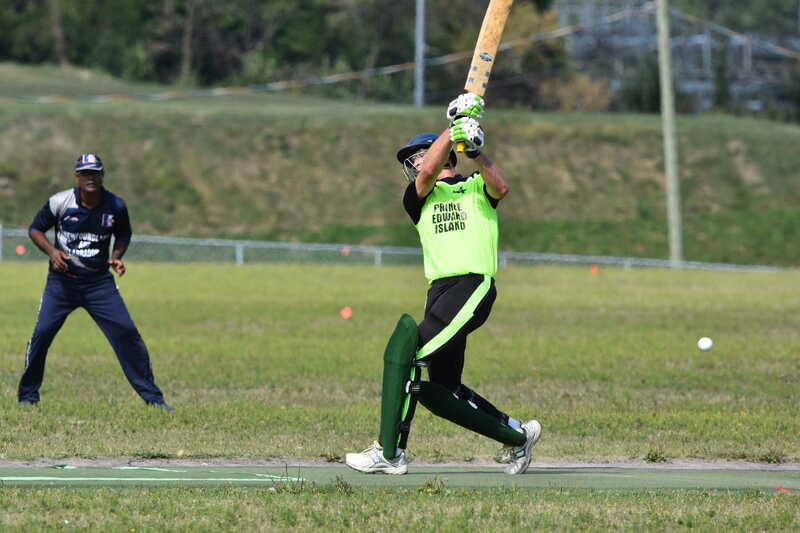 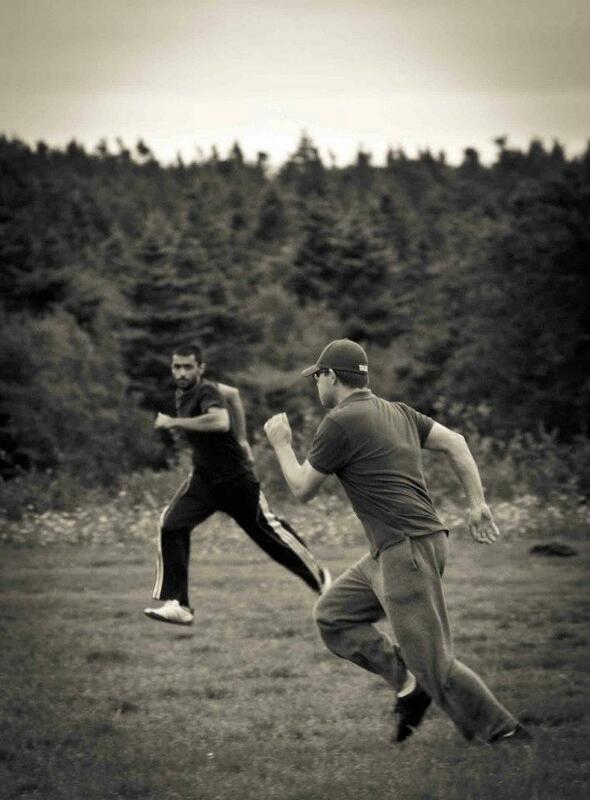 The Shamrocks started slowly, with newcomer Damian Masterson showing that he had not forgotten to bowl on a length and straight, despite not playing for two decades. 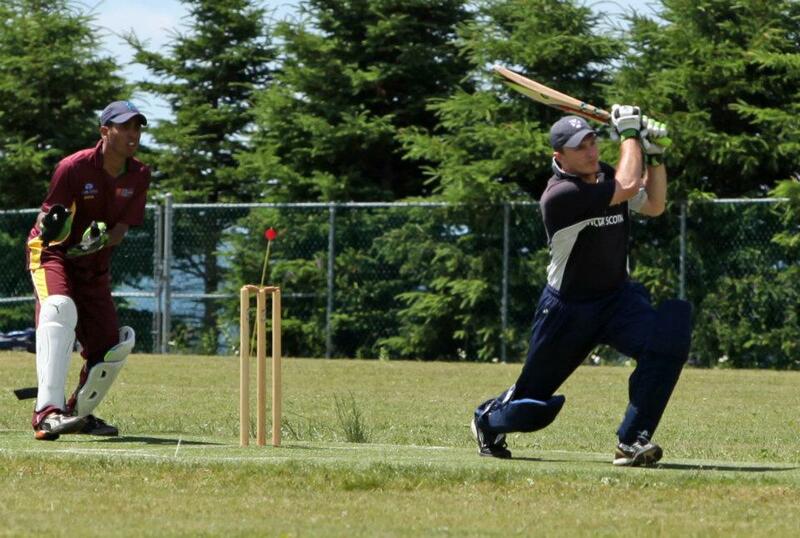 He accounted for three of the top four bats, with Jack getting some big off-spin also taking a wicket. 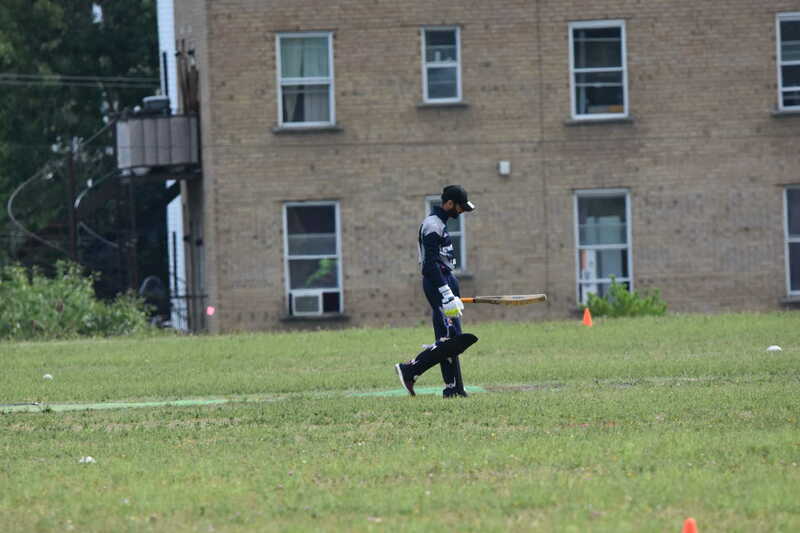 Alex played a captain’s innings, hitting three big sixes in his 27, and the Shamrocks seemed in with a chance. 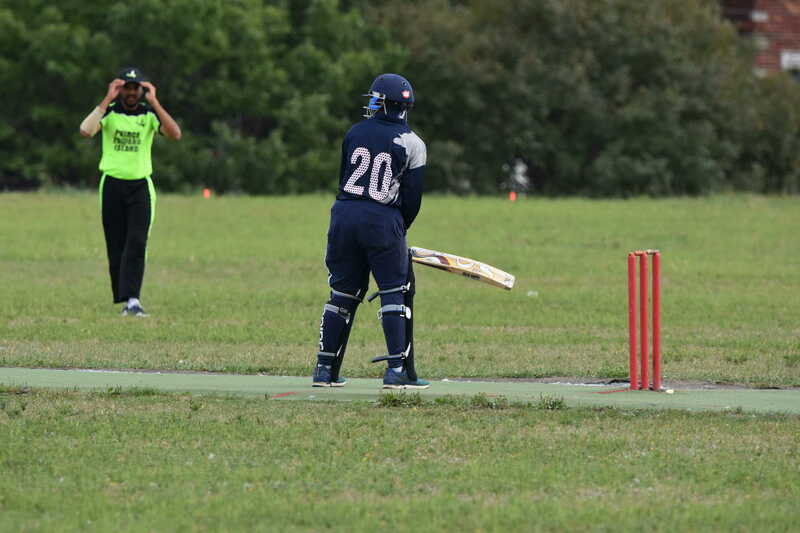 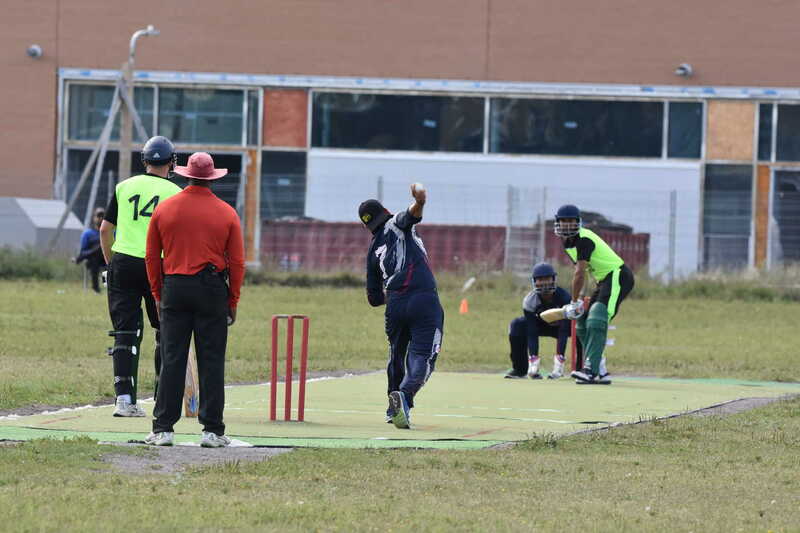 Tapan showed his bowling skills with two wickets, including bowling the Summer League’s MVP, and Damian returned to take his fourth wicket, Karthik being brilliantly caught in the deep by Mark to finish the innings. 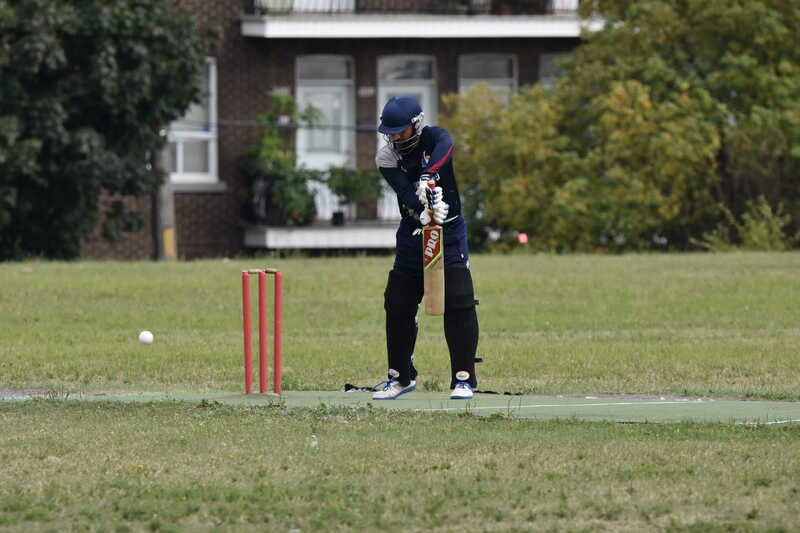 Everyone enjoyed the day, blessed by unseasonably warm September sun, and the opportunity to play cricket in a less competitive atmosphere. 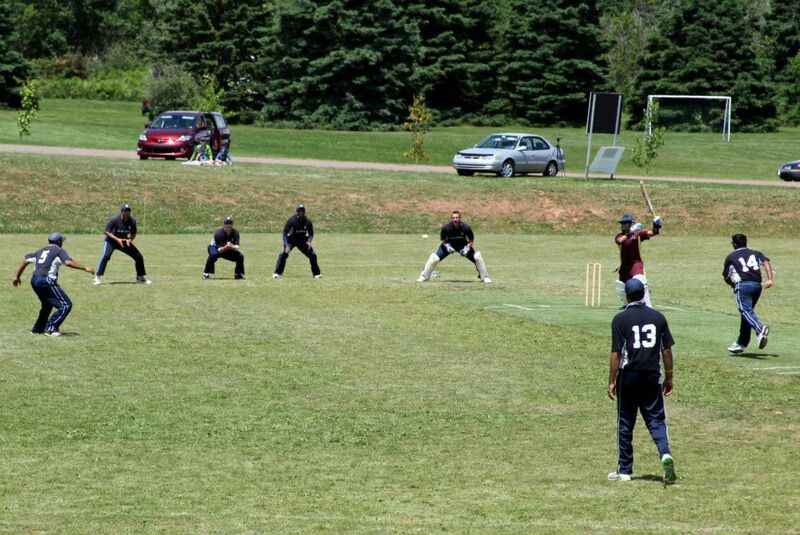 The Shamrock and Terra Nova teams of 120 years ago would have been pleased to see their team names back on the cricket field. 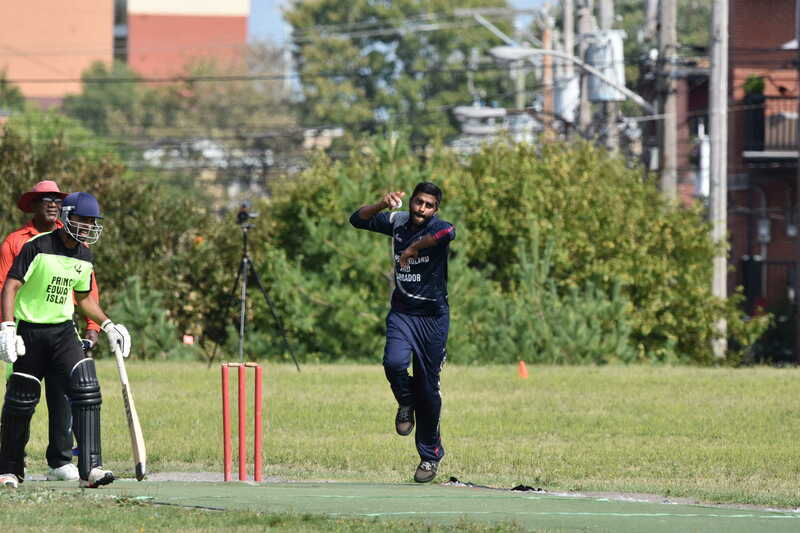 * Note: Karthik batted twice in the Shamrock innings, as they were playing with 10. Indian Warriors won the Fall League, hitting top form at the end of the tournament, beating BD Power in the semi-final, and Team Nachos in the final. 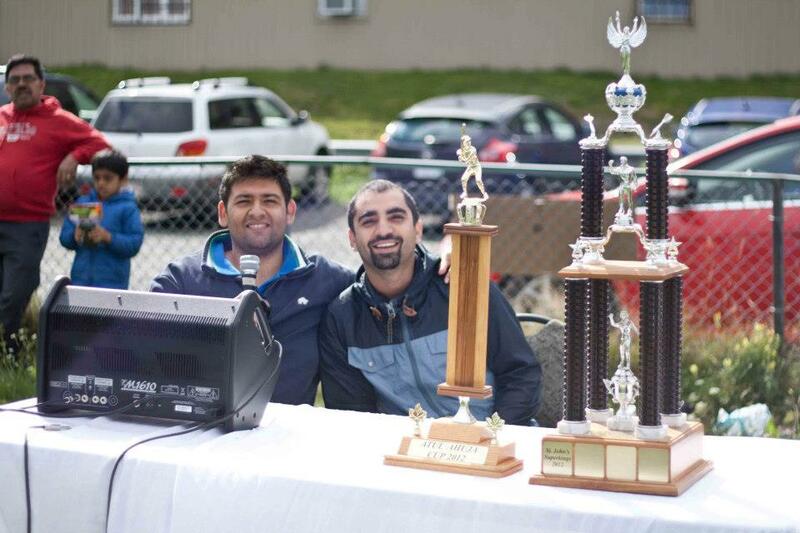 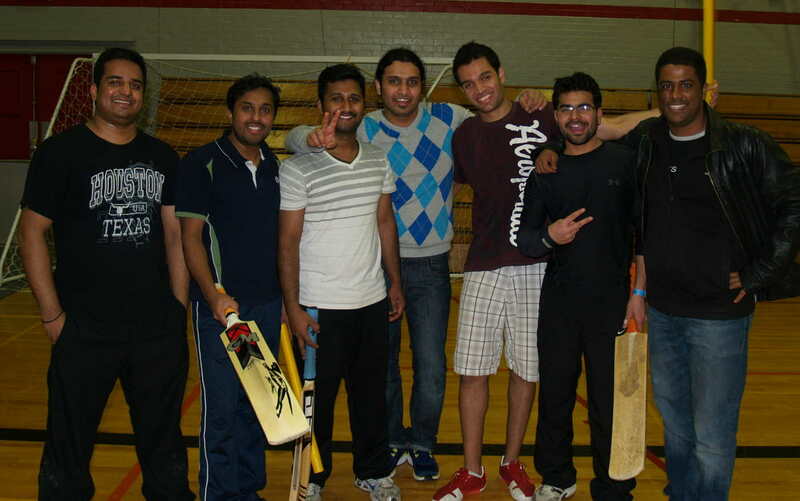 Congratulations to all teams and organizers for a great tournament. 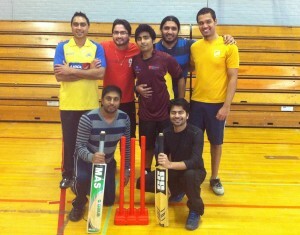 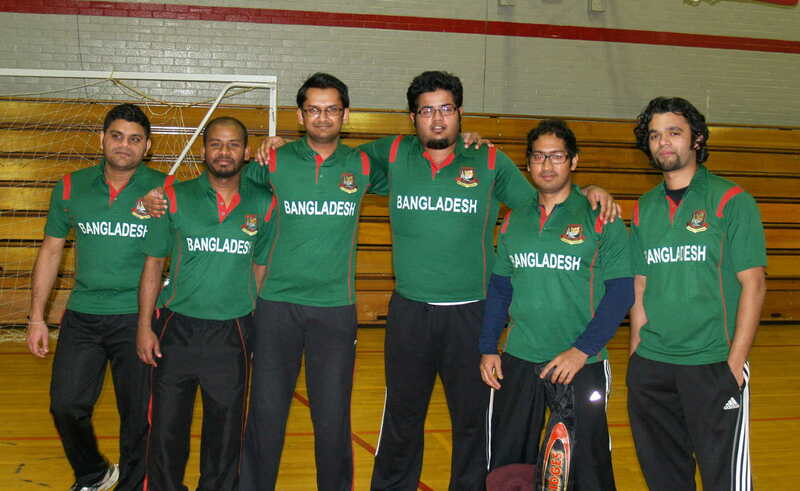 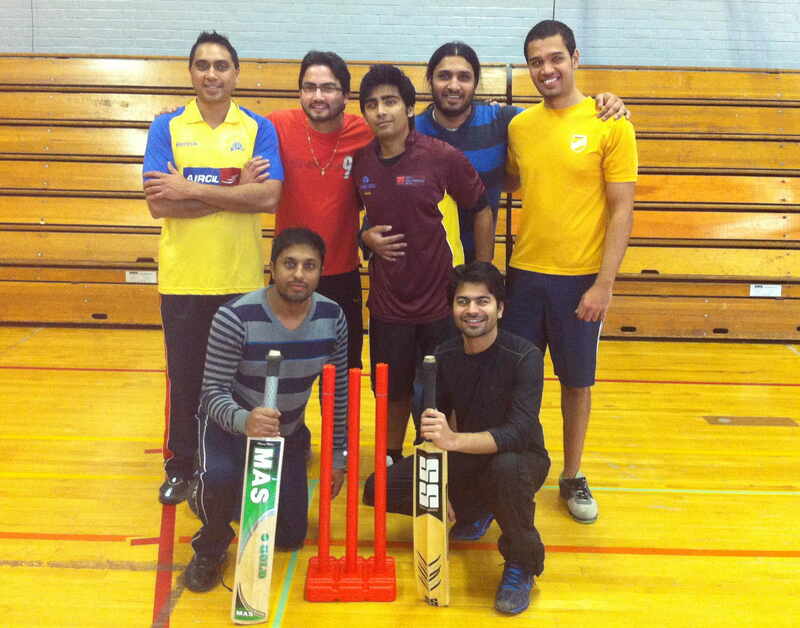 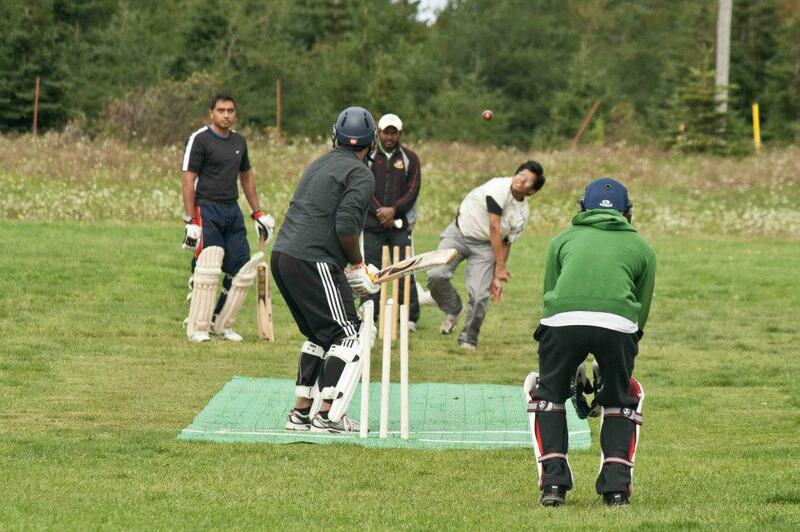 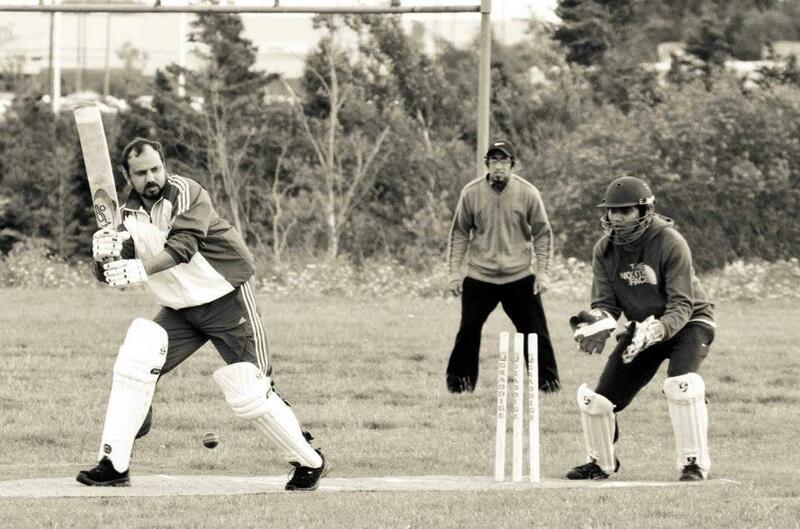 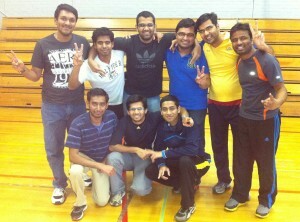 Indoor cricket will be back in February!